"This week sees the graduates from the Web.com Tour take their seat at the top table. Among those who ended the season in good form were Anders Albertson, Cameron Davis, Kramer Hickok, Adam Schenk and Denny McCarthy – the latter won their Tour Championship." After the drama of the Ryder Cup, not to mention Tiger's recent comeback victory at the Tour Championship in Texas, it's all a bit more low key for the PGA this week with a trip to California for the season-opening Safeway Open. No sooner does one PGA Tour season come to an end, than another one starts, with the circus heading to Silverado for a fifth straight year. The North Course at Silverado Resort and Spa was a regular on Tour during the late 1960s, and throughout the 1970s, before later becoming part of the Senior Tour thru to 2002. Silverado had opened its doors for business in 1955, with the original course being re-designed by Robert Trent Jones Jr 11 years later. In 2010, the club changed ownership and within 12 months the North Course was given a face lift by golf commentator and two-time major champion Johnny Miller. Miller, who won twice at Silverado during the 1970s, widened some fairways and re-positioned a number of bunkers, while adding around 250 yards to its overall length. Located within Napa Valley, this largely flat tree-lined layout has plenty of well-positioned trees but little significant water. The only golfer from last week's Ryder Cup match, teeing-up at Silverado, is Phil Mickelson. Leftie, who was born in California, suffered a torrid time at last week's three-day contest in France and will be hoping for salvation in this sunny western state where he stood on the podium 12 months ago. The 48-year-old is the second highest-ranked golfer teeing-up behind Patrick Cantlay who continues to make giant strides up the golfing ladder. 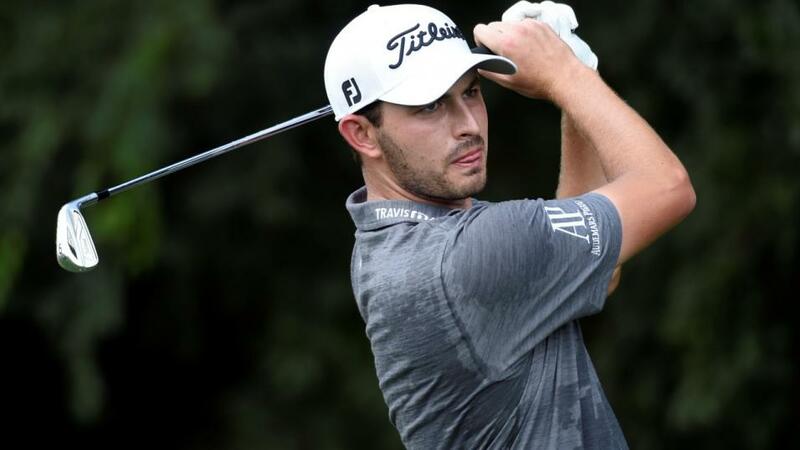 Cantlay, another proud Californian, is making his debut at the Safeway Open following a solid second full season on the PGA Tour. In 22 events during 2017/18, he finished in the top 25 on 14 occasions, while posting six top-10s, the highlight being a breakthrough title in Las Vegas. This week sees the graduates from the Web.com Tour take their seat at the top table. Among those who ended the season in good form were Anders Albertson, Cameron Davis, Kramer Hickok, Adam Schenk and Denny McCarthy - the latter won their Tour Championship. Meanwhile, the 2014 Silverado winner Sangmoon Bae also claimed a late-season victory on the Web.com schedule. The main attention could be on Brenden Steele, who arrives at Silverado seeking a third successive victory in the event. However, the 35-year-old hasn't finished in the top 40 in any of his last 10 starts, but then this was a similar story 12 months ago. The experienced Ryan Moore might fancy his chances this week - four of his five career PGA Tour trophies have arrived from mid-August onwards - while Adam Hadwin closed out his FedEx Cup campaign with a hat-trick of top-25 finishes.